You're right the removal of certain customization options since Dice made that public statement about "toning it down" before launch. A little flawed there in your logic about EA's apprehension towards content for half the price, then follow it up with how the game did just that, drop to 50% a week later. What would have stopped them from selling Premium for just as cheap, or even cheaper around the same time period? Would that have degraded the content if they did? As far as I can tell, it's difficult to call Live Service a complete failure since it really hasn't launched yet. If micro-transactions is dependent on the survivability of this title, guess what, micro-transactions hasn't even been implemented yet. I'll keep beating the same drum about how the game is incomplete, and should have been delayed much longer than a month. This content drought is just fallout to that. We'll have to wait and see after Firestorm and the new roadmap shapes up to fully gauge how much of a failure the Live Service truly is. And for players who didnt buy premium then you will have little to moan about if the live service provides little extra content. Even if you get one more map and 1 more gun over the (completed- bfv is far from it) base game, you have got more than you paid for. However for those players who were happy to have bought Premium for that extra content (usually roughly another games worth of maps/guns and support etc for less than the price of a full new game) then they are going to be disappointed in the lack of extra content to keep the game fresh that they usually get - though obviously paid for. How long do we have to stare at "coming soon" in the vehicle loadout sections? So things that are authentic to a specific time period are the same as historical accuracy? DICE's interpretation of "historical accuracy" is that lots of women fought at the front lines in WWII, Is that really "authentic" to that time period? But then again, You are of the opinion that this game isn't political in the slightest. All this diversity and censoring of certain words and symbols isn't political at all, Noo.. LOL. I’ll never buy another battlefield game again. Been playing since 1942. Used to be my favorite franchise. The epic ness of all the games, the vehicle combat, the squad play.. thats what drew me in. Every title takes away from the core values more and more. They pander to the casual so much, they try to compete against call of duty with yearly releases, they pander to SJWs and say say F you to the long time fans. 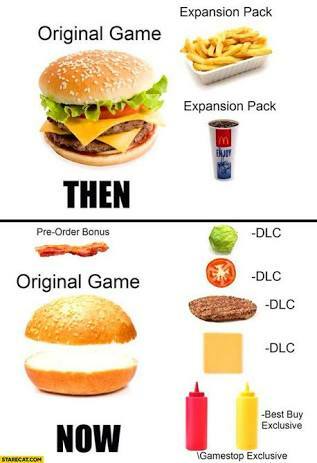 EA is a bad soulless company. They use to make games that were fun to play. Now they make trash. Aww. Someone is still upset because she thinks this game is political. @DK_Bastian2 You can already purchase tank camos via the tank customization tab, but nothing so grand like the Last Tiger skin, just paint. It really depends on how much you play the game. Every Battlefield game since Bad Company 2 Ive logged more than 1k hours of game time and to me I get my moneys worth as I am playing ALOT, but for others who don't play anywhere near as much I can understand. I just want the ability to customize my emblem for the clan and all the other people should have this option. Its been an option for soo long on other bf's why change it? Ya, i was very underwhelmed at the level of customization available in game, considering this is supposed to be from AAA DEV's in a game they have basically had many years prior experience in developing ( read: game is pretty similar to its predecessors- same engine etc) Especially since, you know its like 2019 now. I was expecting real upgrades, not just a drop down list that you select from. The paint schemes seem very weak in application. I cannot stand how 'thin' the predator camo looks for example. Not to mention that there really aren't that many to choose from, or the fact that some are locked to one type. ie gold camo locked to iron type sight, can't apply it to 3x scope. It would be nice to have more cosmetics imo, and hair. I really want hair.